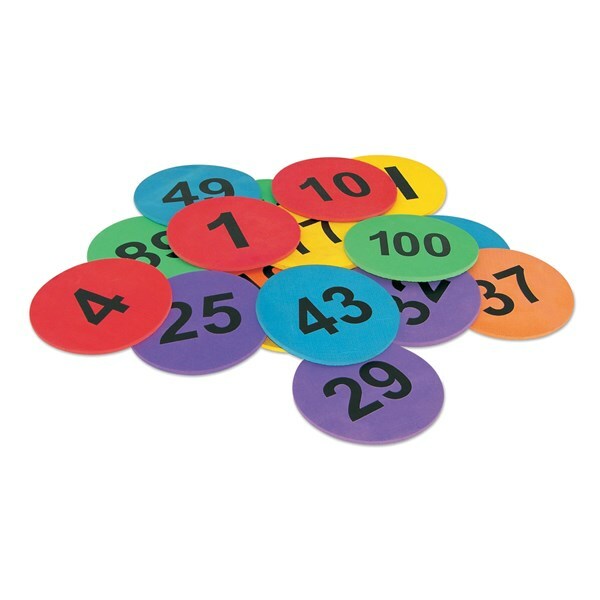 Rubber Spots with numbers printed from 1 to 100. Comes in assorted colours. Available in different sets. Note: These sets can also be customized as per your requirement. Rubber Spots with alphabets printed from A to Z. Comes in assorted colours. Set of 26 pcs. 9" Cones with Alphabets printed a - z. Set of 26 pcs. 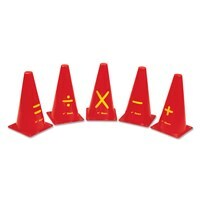 Available in Red/Blue/Green/Yellow/Orange colours. 9" Cones with symbols printed. Set of 5 pcs. Available in Red / Blue / Green / Yellow / Orange colours. 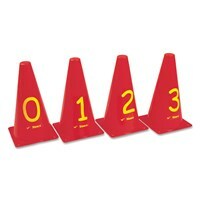 9" Cones with Numbers printed 0 - 9. 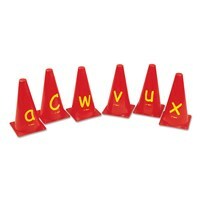 Set of 10 pcs. 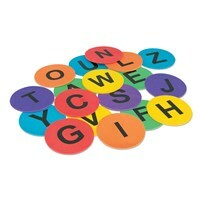 Available in Red/Blue/Green/Yellow/Orange colours.